Are you looking for a unique way to celebrate a birthday, anniversary or another personal occasion? A private cooking group event may be exactly what you need. Your group gathers to enjoy a cooking class that includes hands-on learning, fun, and sharing the meal that you create together. 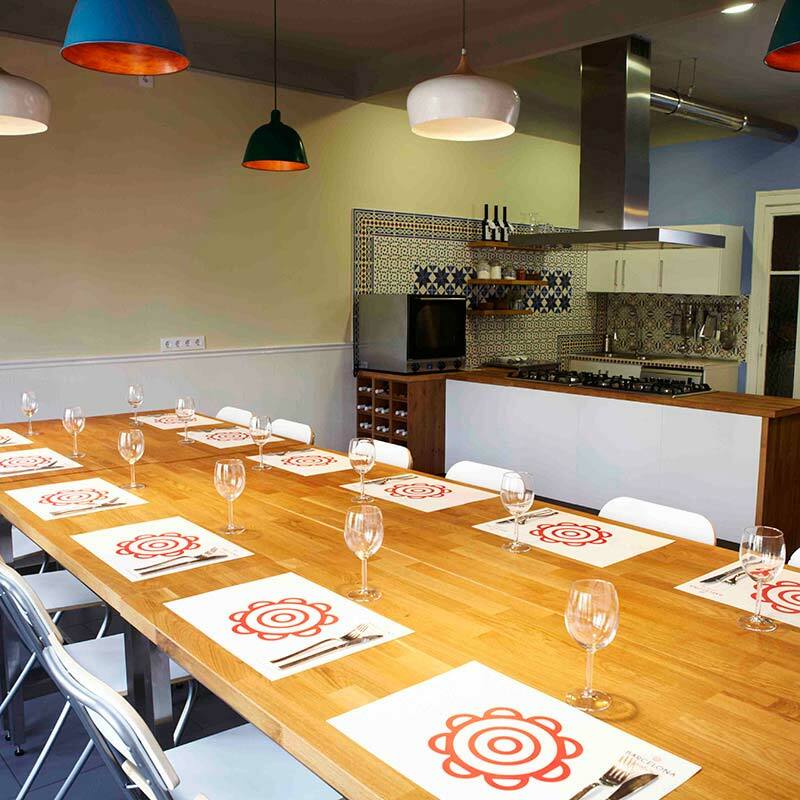 At Barcelona Cooking we offer a variety of private cooking events. Each event is designed to be fun, educational, interactive, and engaging. You and your guests will participate in the preparation of the various dishes under the thoughtful guidance of our chef instructors. We have a typical menu, but we can also customize our menu to fit your specific needs or dietary restrictions. Premium Spanish wines are always included. Most events last up to 3 hours. We offer an ideal setting for many different types of private and business events. Examples of private events we have hosted in the last two years are: Birthday parties, anniversary parties, family reunions, bridal showers, bachelorette/hen/stag parties, holiday parties, gourmet groups, singles/meet up events, celebrity chef cooking demonstrations, kitchen rentals, product launch events, business meetings, TV productions, study abroad students, corporate team building events, and travel groups. And this list keeps growing!